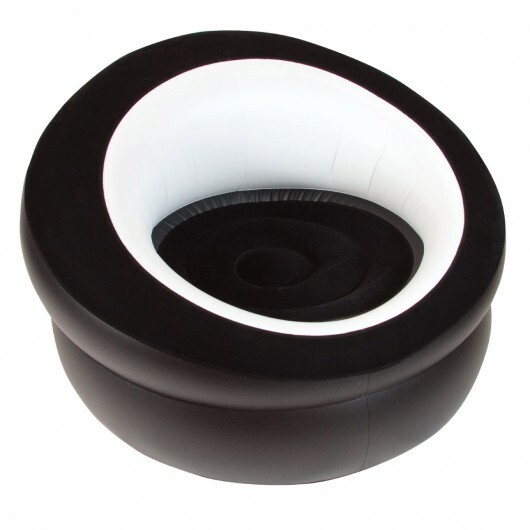 A black and white inflatable pod with a print of your logo or message. These retro pods are a funky promotional product that is guaranteed to get noticed. They're a black and white inflatable single chair in a combination of PVC and flocked PVC. Great for outdoor events, the park, or near the pool.